This is one the shortest and very interesting books I have read. I enjoyed reading it. This book is a total fun to read and I highly recommend it. I expected less from this book, quite less…. But it surprised me, very much. Have you ever seen Devdas, the movie? Well, this book had a similar story just one thing was different and that thing was the most essential part..
” As a wattpad author and a reader, even I fall in love with books and feel difficult to leave them ( after finishing) to start another one. Authdas, a writer by passion and engineer by profession loves Paro,a book. He wants to write it but complications arise. His father and mother want him to leave writing and be an engineer. He leaves Paro for ten years to go to London and study science. When he comes back, he comes with a promise to himself to write Paro and complete it but due to his parents, he is unable to follow his dreams. Then the suspense comes, just like it was in the movie, Gangawati gives Paro to some other author, Mahadev (an unsuccessful author). Authdas is furious and chagrined. What will he do? Here the story changes and the end is very satisfying.. Rating: 3.8 out of 5! I am so excited today to have with me for virtual coffee, Ms. Swapna D a M.Com student of KSWU, Vijayapura who shares her views of Surrogate Author book and about her. Ms. Swapna: I am a student pursuing final semester M.Com. I hail from Ugar, Belgaum district. 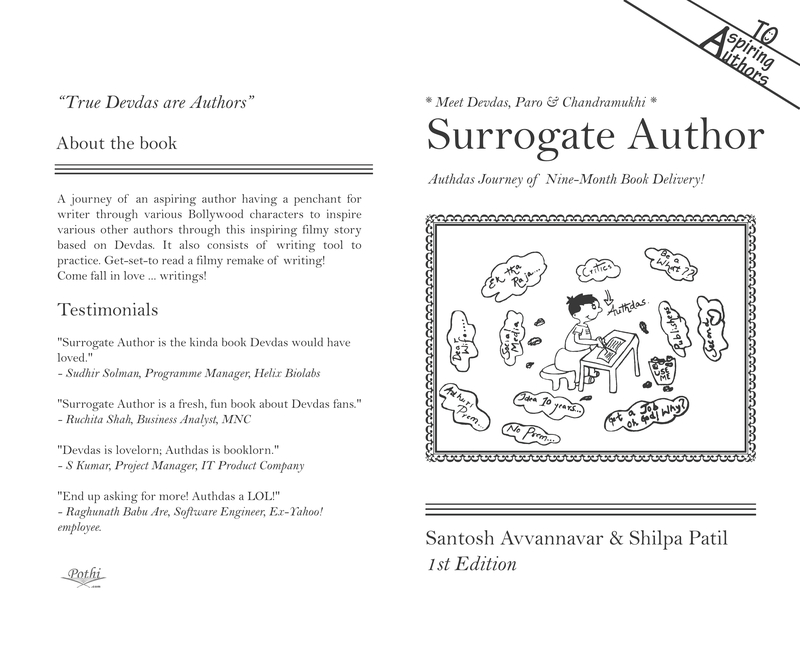 Authdas: How did you get a copy of Surrogate Author? Ms. Swapna: (Smiles) Both the authors have taught me in past, so I came to know through one of the author. 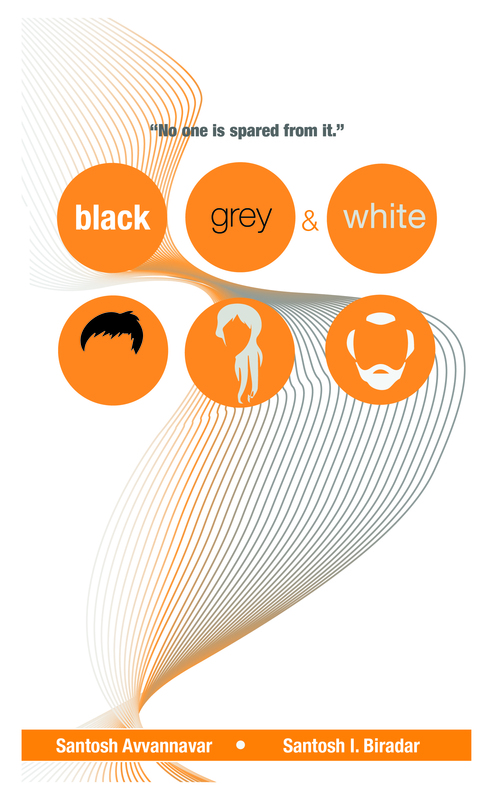 Authdas: Which section of the Surrogate Author is still fresh in your mind? Ms. Swapna: I liked the concluding chapter that Authdas stole Paro and his passion to write Paro. Authdas: What you didn’t like about the book? Authdas: Why do you think someone should read this book? Ms. Swapna: It’s different and funny love story to read. Authdas: What are your hobbies? Authdas: It was pleasure talking with you. Thanks for joining at virtual interview. Ms. Swapna: (smiles) It’s my pleasure too! 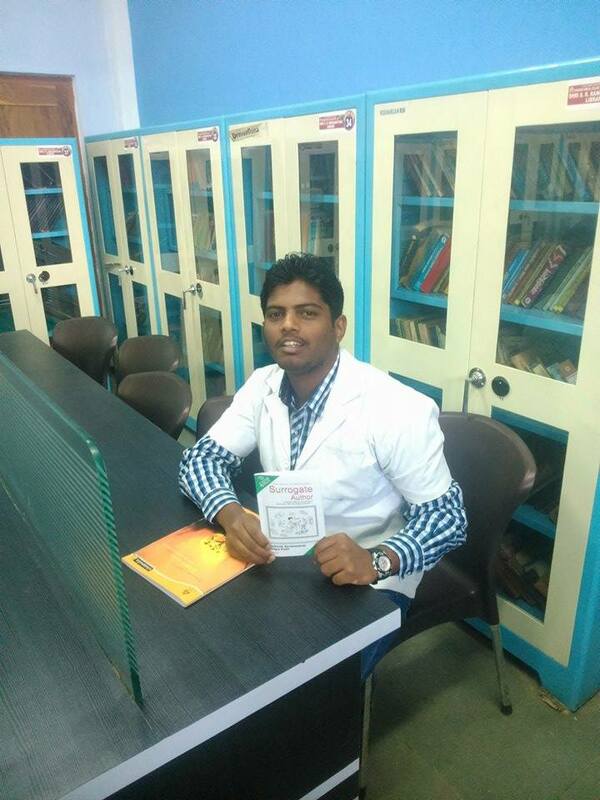 I am so excited today to have with me for virtual coffee, Dr. Venkatesh Kumar a medical student of RGES, Ronn who shares his views of Surrogate Author book and about him. Dr. Venkatesh Kumar: My roots are from Gadag, Karnataka but completed education at different parts of country. I am presently pursuing medicine. 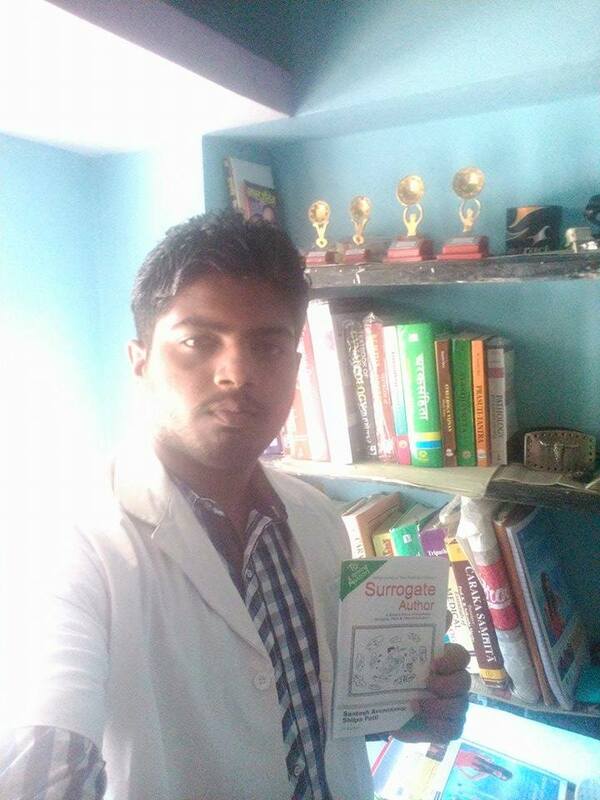 Dr. Venkatesh Kumar: (Smiles) I got it is a gift by the author during a seminar on ‘Doctor-Patient Communication Skills Program’ at our college. Auhtdas: What kind of books do you read? Dr. Venkatesh Kumar: I mostly read books that are simple, short ones like comics, journals. There is something new to read often attracts me. Dr. Venkatesh Kumar: Authdas love towards Paro as his first book, his persistent to write her. This is something still lingering in my mind. Dr. Venkatesh Kumar: I wish to see the story gets extended or elaborated. Dr. Venkatesh Kumar: The book boost up aspiring writers who have forgone their writing skills due to some challenges. In same way I am inspired by this. Dr. Venkatesh Kumar: Writing poems, lyrics for song, enjoys music and bit of dancing (smiles). Dr. Venkatesh Kumar: (smiles) It’s my pleasure too! 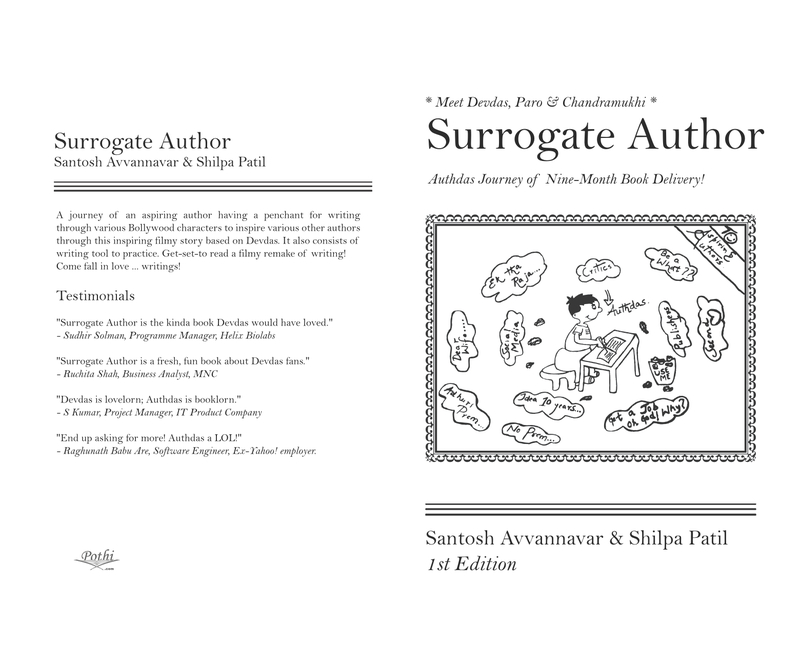 Book Review: Surrogate Author: Authdas Journey of Nine-month book delivery! is truly a humourous account of the toils of an aspiring writer from the inception of the book idea to its delivery. Written like a play, I loved the whole Devdas theme the authors used to narrate the story. Authdas is the author who is in the shoes of Devdas from the similarly named Bollywood movie. The book is playing the role of Paro from the movie and so on. The first thing that attracted me towards the book was the idea behind it. Dedicated to all the aspiring authors of the world, this book promised a quirky and funny account of their writing journey. Then the cover is also very unique with a cartoon of a boy writing and the various thoughts going on in his mind. Both these aspects of the book sold it to me and left me eager to read the book.